Designing Content Managed WordPress websites for clients in West Sussex, Surrey and beyond. Have you considered a content management system (CMS) for your website? A content management systems allows you to make easy updates to your own website once it has been built. This saves you from having to pay a website developer for future tweaks, changes and amendments, saving you both time and money. Once your site is developed, it’s relatively straightforward to learn how to upload new images, update your company blog or change details on any of your pages – all without having to know anything about how to code a website! The ability to add to your site as time goes on keeps your website content fresh. This is for SEO performance as it’s an indication to the search engines that you are an active business, meaning that they will be more inclined to list you in their search results! I am a huge advocate of WordPress. If you want a website built using a content management system (CMS) then I genuinely believe it’s the best one out there. That’s why I recommend it as the ideal option for virtually all of my CMS website design and development projects. Best of all, the flexibility of WordPress means that I can offer different levels of service depending on your requirements. No two businesses are exactly the same, and no two websites are the same. Whether you are a small or large organisation and whether you are looking for a 5 page or a 50-page website, I will carefully consider your website design and development requirements and present the best solution for your needs. WordPress sites built by The Original Wordsmith have been put designed for businesses in Horsham, Crawley, Guildford and as far away as Thailand. Wherever you are based, just contact me to let me know what you need from your CMS website and I will be sure to deliver it. What are the benefits of building your website using WordPress? 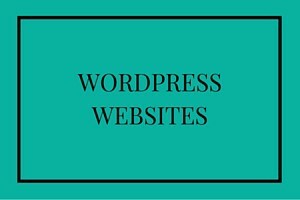 WordPress is fantastic for SEO and it’s more than possible to get your WordPress website ranking well very quickly. What’s more, with all the available plugins there is really very little that you cannot do with a WordPress website.